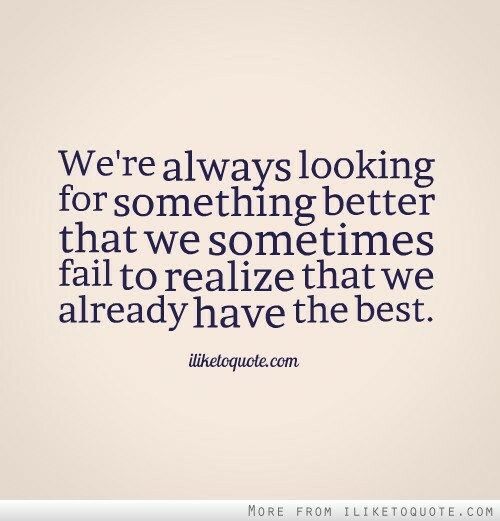 We're always looking for something better that we sometimes fail to realize that we already have the best. Don't start because it's easy. Start because it's worth trying. Don't stop because it's hard. Stop because you've tried your best. Be yourself, don't change for anyone. I may be crazy but all the best people are.